We offer private web design tutorials within the Yakima Valley for only $25.00/hr. as well as complete web design and internet marketing services for local businesses. Contact us for a free consultation. 80% of customers now research online before buying local products and services, and this number grows daily. Because of the way people search for products or services, from computers and mobile phones, having an online presence is no longer an option, it’s a necessity if you want your business to continue to grow and get new customers. We specialize in helping business owners, like you, develop and implement a marketing plan to build your web presence, lower marketing costs and increase sales through a combination of internet marketing, mobile marketing, and social media marketing techniques. We offer flexible and affordable services to fit your needs and marketing budget. Contact us now to see how we can help you. We’ll set a time that’s convenient for you and detail what can be done to improve your rankings and grow your business with our internet, mobile, or social media marketing services. 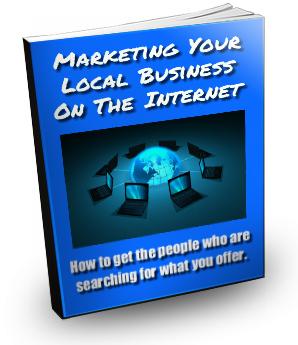 Get New Customers, Boost Your Sales and Profits From The Internet. How To Get More Sales, Leads & Traffic From LinkedIn Excellent tips on how to get more sales, leads and traffic from LinkedIn. Twitter For Business Marketing How to use Twitter for business marketing. Yakima Mobile Marketing All about moile websites, text message marketing, QR codes. YouTube Video Marketing How to make money with YouTube.